If you have a budget but are after a website which is unique then our Hybrid offering is best for you. With our Hybrid sites we take any of the Current Website Themes or Live Examples of Real Estate Theme Websites below and redesign the homepage as per your requirements. We will create the design in Photoshop and work on adjusting it until you’re 100% happy with the redesign. During the redesign your header and footer is likely to change along with the style on your homepage and these changes will filter through to other pages on your website. This basically means you end up with a Custom website for the cost of a Theme website. We charge an extra $500 + GST for our Hybrid solutions on top of the Theme purchase of $2,450 meaning the total cost for you to have a unique website is $2,950 + GST. Of course some customers may want to further enhance their themes with extra features and Agentpoint stands ready to help you with all of your customisation needs at a very reasonable price. When choosing a Theme website to begin with, we can start with any of the Current Website Themes or Live Examples of Real Estate Theme Websites on display below. Just click on any images to see a live example of that site. You can choose what is displayed on the homepage of your custom website with options such as featured listings, current listings, properties of the week, tags, news articles and team members. All Agentpoint websites are integrated with Google Maps allowing users to easily view the location of a property via a Google map on the property page. However, you do have the option to not display the property on the map if you or your client would like to hide the address. Each team member within your organisation receives their own personal profile page so they can promote their skills and experience. They can include a personal description, contact details, head shot, current listings, testimonials, recent sold listings and current articles they have written. 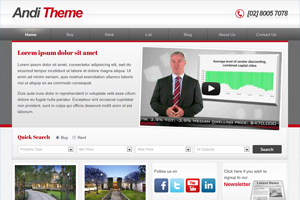 All of our themes are designed and developed to work with the Zooproperty.com property system. Zooproperty.com allows real estate agents to manage their property listings from one location and have their property data exported to any number of real estate portals/websites including their own. If you would like to know more about Zooproperty.com visit their website. 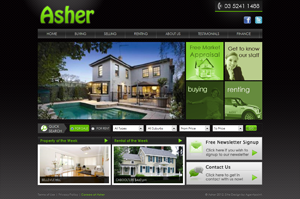 You can create pages for your website such as Company, About Us, Our Locations etc. In fact any static page can be added to your website and housed under a category. You can add pictures, links, files and even movies to these pages. CampaignTRACK is the world’s leading real estate marketing campaign management platform, and it provides seamless integration with Agentpoint websites for the management of property listings. Enjoy the efficiency of managing your property OFIs, Auction dates, photographs and floorplans through a single system that seamlessly updates your website, property portals, print advertising and marketing collateral. Your properties can be seamlessly integrated into your Agentpoint website through XML data feeds from your existing CRM or listings management provider. Meaning you never need to double handle listings as when you load them to your existing provider they will automatically be sent to your Agentpoint property website. We currently accept feeds from MyDesktop, Hub Online, ReNet, Multi Array, Rockend (REST) and Box+Dice (BOOM), although nearly any system that provides XML feeds in RealXML or REVxml format can be integrated. Your auction times are seamlessly integrated into your Agentpoint real estate website through XML data feeds from your existing CRM or listing system provider. Your open for inspection (OFI) times are seamlessly integrated into your Agentpoint real estate website through XML data feeds from your existing CRM or listing system provider. We offer complete design, layout and launching of dedicated sites for independent real estate offices as well as national networks and franchise groups. Whether you have one office or many, your website can scale to support as many (or as few) offices as you need.